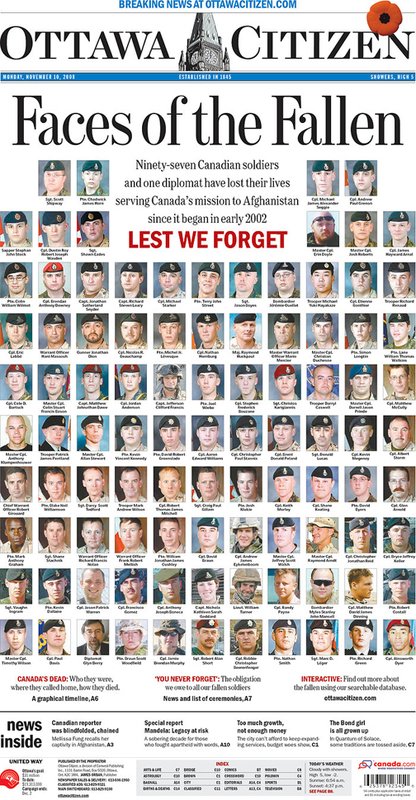 Above: The Ottawa Citizen, from Ottawa, Canada. Via Newseum. 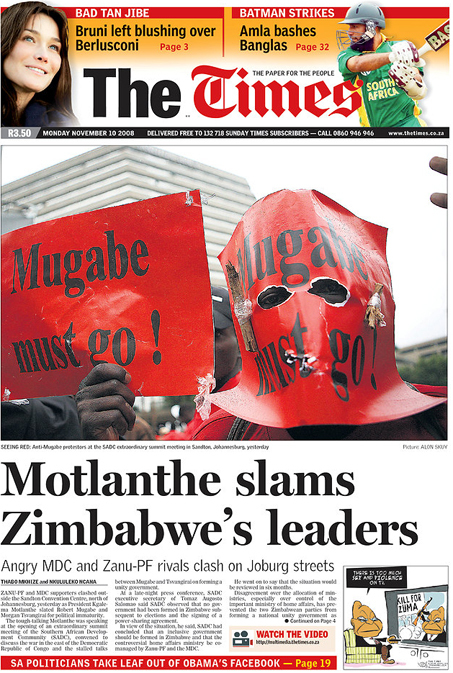 Above: The Times, from Johannesburg, South Africa. Via Newseum. This entry was posted by Erik Brandt on Monday, November 10th, 2008 at 11:05 AM	and is filed under Aktuell, Education, Globalization, Graphic Design, International, News Links, Typografika, Typography.